Reading Italian in correct way is a very important beginning to learn and to be understandable by your Italian correspondents. It's also mandatory to understand Italian speakers either in person, at phone or on screen. Use an Italian text (any text) submit it to an Italian on line reader like this one and then try by yourself. Compare version you recorded against automatic speech. 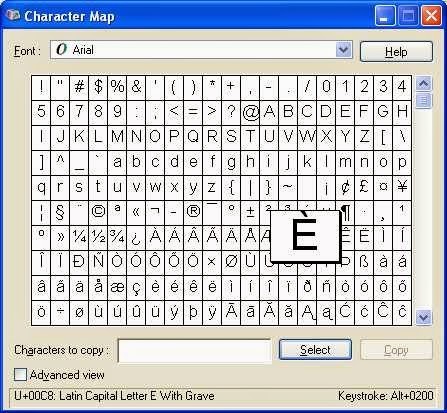 Windows users - Option 1 - ALT key + numeric codes: in Windows, combinations of the ALT key plus a numeric code can be used to type a non-English character (accented letter) in any Windows application. See instructions for adding and using the International keyboard. You can just leave the International keyboard on all the time. It will create some minor nuisances when you type certain punctuation marks. For example, in order to type [ ' ] you press [ ' ] then spacebar. 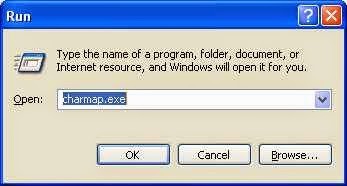 You will be able to copy and paste the character you like from the character maps found on your PC. if you don't like any of the above solutions you can try this editor for Italian accented characters.